Our founder, Steve Duty, is passionate foodie and a 35-year veteran of the food and beverage industry. He is a trained chef with a degree from the prestigious Culinary Institute of America. He is also an award-winning winemaker, and for a time owned and operated a sheep farm/dairy with the goal of making cheese. 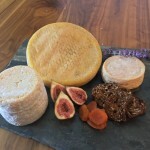 He’s done extensive training in cheesemaking and has close ties to a number of small-scale artisan cheesemakers across the U.S. We take all that food experience and hand-curate a collection of artisan and hard-to-find products for our store. What sets us apart from other cheese shops is that we’ve lived the artisan food producer’s life and know first-hand what it takes to make farmstead cheese, oh and to build a farm from scratch (see our Gallery “Kim & Steve Build a Sheep Farm“). That’s why our shop is all about celebrating the artisans. Steve looks forward to assuming his role as “cheese sleuth” to help Denverites discover the delicious world of cheese and of telling the story of each cheese he sells from milking parlor to mouth. Steve is joined in this venture by his wife, Kim Duty who has learned to share Steve’s passion for food during their 20+ year marriage. Our goal at Cheese+Provisions is to create a fun learning environment to help people fall in love with great food. We are passionate about supporting the community of artisans who produce the products we sell. We are a cut-to-order cheese shop offering cheeses from around the world, with an emphasis on American farmstead cheeses. Our former chef/cheesemaker-owner leverages his lifetime of tasting and his personal relationships with cheesemakers from around the country to bring you hard-to-find, small batch cheeses. We strive to make cheese fun (no cheese snobs here). Our cheesemongers happily offer you as many tastes as you like (along with the stories of the cheeses you are tasting) to help you make your choices. And then we hand-cut your selection straight from the wheel so you know it’s fresh. Enabling other cheese-passionate foodies to make a living doing what they love is a priority for us. We value our employees and treat them with the same respect we show our guests. We know that we can’t deliver our commitment to outstanding service unless our staff is as happy as our guests.We compensate our staff competitively and are committed to their success. We seek opportunities for their personal and professional growth. We like to have fun and make work fun. Want to know what’s going on at Cheese+Provisions, or just in the world of cheese in general? 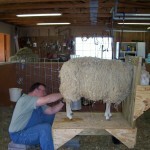 What’s it like to run a sheep farm or build a cheese shop? Just love pictures of cheese (who doesn’t?). Want a sneak peek behind the scenes at Cheese+Provisions? Our Gallery has you covered. Behind every product we sell, there is a family, a farm, a tradition and a passion.